Principal photography began in New York City in November 2016. The film premiered on December 8, 2017, aboard the RMS Queen Mary 2. It was released in the United States on December 20, 2017, by 20th Century Fox, seven months after Ringling Bros. and Barnum & Bailey Circus's dissolution, and grossed over $434 million worldwide, making it the fifth-highest grossing live-action musical of all time. 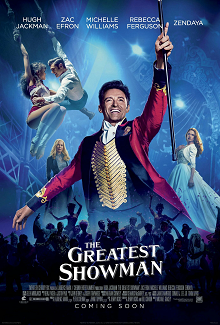 The Greatest Showman received mixed reviews from critics but was popular with viewers, with praise for the performances, music, and production values, but criticism for its artistic license, with some reviewers calling it "faux-inspiring and shallow". At the 75th Golden Globe Awards, the film received nominations for Best Motion Picture – Musical or Comedy and Best Actor – Musical or Comedy for Jackman. For the song "This Is Me", the film won the Golden Globe Award for Best Original Song and was nominated for Best Original Song at the 90th Academy Awards and won the Best Compilation Soundtrack for Visual Media at the 61st Annual Grammy Awards. In the mid-19th century, P. T. Barnum and his troupe perform a show at the circus ("The Greatest Show"). In a flashback to Barnum's childhood where he and his tailor father Philo work for the Hallett family, he becomes infatuated with their daughter Charity after making her laugh. Though Charity is being sent to finishing school, Barnum reassures her that they will not be separated. The two keep in touch through letters until they meet again in adulthood ("A Million Dreams"), eventually marrying and raising two daughters, Caroline and Helen, in New York City. They live a humble life; though Charity is happy, Barnum craves more. Barnum loses his job as a clerk at a shipping company after the company goes bankrupt, and returns home for Caroline's birthday ("A Million Dreams (Reprise)"). In a daring risk, he takes out a large loan from a bank, deceiving them into accepting his former employer's lost ships as collateral. He uses this loan to buy Barnum's American Museum in downtown Manhattan, an attraction showcasing various wax models. Initially, sales are slow. On the suggestion of his children to showcase something "alive", Barnum searches for "freaks" to serve as performers for his museum ("Come Alive"). This attracts a large audience despite protests and poor reviews from James Gordon Bennett, prompting Barnum to rename his venture "Barnum's Circus." Searching for ways to further his reputation amongst the upper class, Barnum meets playwright Phillip Carlyle and convinces him to join his venture ("The Other Side"). Carlyle is mesmerized by the African American trapeze artist Anne Wheeler, but he hides his feelings. During a trip, Carlyle arranges for Barnum and his troupe to meet Queen Victoria. Afterwards, Barnum meets famed Swedish singer Jenny Lind, whom he convinces to perform in America with him serving as her manager. Lind's first American performance is a rousing success ("Never Enough"). As Barnum gains favor with the aristocratic patrons, he begins to distance himself from his original troupe as he advises them to work on tonight's show. Dejected, they decide to stand against their local harassers ("This Is Me"). Carlyle and Wheeler attend the theater together one night only to run into Carlyle's parents, who chastise Carlyle for "parading around with the help." After Wheeler runs off, Carlyle angrily berates them, then chases Wheeler and tries to convince her that they can be together, but she rejects him despite her feelings for him ("Rewrite the Stars"). As Barnum takes Lind on a US tour, Charity feels isolated from her husband as she stays home with their daughters ("Tightrope"). While on tour, Lind begins falling in love with Barnum. When he refuses her advances, she threatens to quit and orchestrates a kiss from him at the end of her last show, which is photographed by the press ("Never Enough (Reprise)"). Barnum returns home to find his circus on fire, caused by a fight between the protesters and the troupe. Carlyle runs into the burning building, believing that Wheeler is still inside, and is rescued by Barnum amid the chaos, suffering serious injuries. 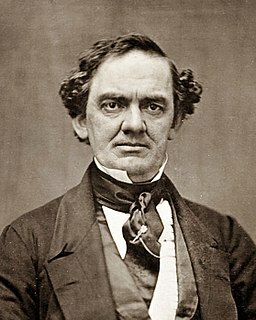 The next day, Barnum gets word from a sympathetic Bennett that the culprits have been caught, Lind canceled her tour after her, and Barnum's "scandal." Barnum's mansion is foreclosed upon and Charity takes Caroline and Helen to her parents' home. Barnum retreats to a local bar where his troupe find him and explain that despite their disappointments, they still consider themselves a family that needs him. An inspired Barnum resolves to start a new show and not let ambition overtake his loved ones anymore ("From Now On"). Meanwhile, Carlyle wakes in a hospital with Wheeler by his side. Barnum finds his wife and they mend their relationship. Faced with the financial difficulty of rebuilding the circus, the recovering Carlyle steps in offering to use his earnings from his share of the circus's profits to rebuild it under the condition of becoming a full partner which Barnum happily accepts. As rebuilding the circus in its original location would be too expensive, Barnum transforms it into an open-air tent circus by the docks. The revamped circus is a huge success ("The Greatest Show (Reprise)"). Barnum gives full control of the show to Carlyle, so he can focus on his family. Hugh Jackman as P. T. Barnum, an ambitious showman and entrepreneur. Ziv Zaifman provides Young P. T. Barnum's singing voice. Zac Efron as Phillip Carlyle, a playwright who becomes Barnum's partner. His character is based on James Anthony Bailey and James Llewellyn Hutchinson. Michelle Williams as Charity Hallett-Barnum, the wife of P.T. Barnum. Rebecca Ferguson as Jenny Lind, a famous Swedish singer known as the "Swedish Nightingale". Loren Allred provides Lind's singing voice. Zendaya as Anne Wheeler, an acrobat and trapeze artist. Keala Settle as Lettie Lutz, a bearded lady. She is a composite character partly based on Josephine Clofullia and Annie Jones. 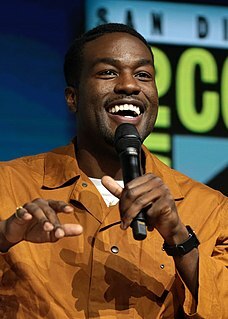 Yahya Abdul-Mateen II as W. D. Wheeler, an acrobat and Anne's older brother. Natasha Liu Bordizzo as Deng Yan, a Chinese acrobat and blade-specialist. Paul Sparks as James Gordon Bennett, the founder, editor and publisher of the New York Herald. Sam Humphrey as Charles Stratton, a dwarf performer who is also known by his stage name General Tom Thumb. In performing this role, Sam had to walk on his knees since was a little bit taller than the actual Stratton. James Babson provides Stratton's singing and speaking voice. Austyn Johnson as Caroline Barnum, Barnum's older daughter. Cameron Seely as Helen Barnum, Barnum's younger daughter. Eric Anderson as Mr. O'Malley, a former pickpocket whom Barnum employs at his circus after failing to rob him. O'Malley handles different tasks like staffing the front of the house, selling tickets, reading the reviews, fending off the protesters, producing the posters and promotional materials, and posting circus playbills everywhere. Daniel Everidge as The Lord of Leeds, a 500 lb man who is based on Teodulo Valenzuela. Radu Spinghel as Vasily "O'Clancy" Palvos, an "Irish Giant." Timothy Hughes as the Strongman, a man with enhanced strength who is based on Angus MacAskill. Luciano Acuna Jr. as Walter, the Dog Boy who is based on Fedor Jeftichew. Danial Son and Yusaku Komori as Chang and Eng Bunker, the "Siamese Twins." Nick Jantz as Jeff Harris, the Juggler. Martha Nichols as Woman in Gold, an African-American woman in gold clothing with gold spots on her. Jonathan Redavid as Frank Lentini, the Three-Legged Man. He was credited as "Dancer Oddity #1." Shannon Holtzapffel as Prince Constantine, the Tattooed Man who is based on Captain George Costentenus. He was credited as "Dancer Oddity #2." Jeremy Hudson as The Elephant-Skinned Man, a man who is based on Ralph Krooner. He was credited as "Dancer Oddity #3." Taylor James as Blockhead, a man with facial piercing that is based on Melvin Burkhart. He is credited as "Dancing Oddity #4." Chelsea Caso as Tattooed Lady, a woman covered in tattoos who is based on Nora Hildebrant. She is credited as "Dancing Oddity #5." Caoife Coleman and Mishay Petronelli as the Albino Twins, two albino women in white clothes who are based on Mary and Florence Martin. They were credited as "Dancer Oddity #6" and "Dancer Oddity #7." Khasan Brasilford as Albino Man, a white-haired man in white clothes. He was credited as "Ensemble Dancer #1." Alex Wong as Oriental Man, a Chinese man dressed in an oriental outfit. He was credited as "Ensemble Dancer #2." Julius Rubio as Golden Boy, a man in gold clothing with gold spots on him. He was credited as "Ensemble Dancer #3." Vincent-Oliver Noiseux as Devil Boy, a performer with horns. He was credited as "Ensemble Dancer #4." DeAnna Walters and Jessica Castro as the Voodoo Twins, two African-American twins. They are credited as "Ensemble Dancer #5" and "Ensemble Dancer" #6. Najla Gilam as Snake Dancer, a snake charmer who is based on Nala Damajanti. She was credited as "Ensemble Dancer #7." Christina Glur as the Egyptian Lady, a woman in a fiery red costume with matching hair and an all-seeing eye tattooed on the palm of her right hand. She was credited as "Ensemble Dancer #8". Byron Jennings as Mr. Carlyle, the father of Phillip. Betsy Aidem as Mrs. Carlyle, the mother of Phillip. Will Swenson as Philo Barnum, a tailor and the father of P. T. Barnum. Linda Marie Larson as Gertrude Stratton, the mother of Charles Stratton. Fredric Lehne as Benjamin Hallett, father of Charity and disapproving father-in-law of Barnum. Kathryn Meisle as Hannah Hallett, mother of Charity and mother-in-law of Barnum. Gayle Rankin as Queen Victoria, the Queen of the United Kingdom. Shuler Hensley as Lead Protester, the leader of the anti-freak protesters. During rehearsals for the 81st Academy Awards in 2009, producers Laurence Mark and Bill Condon compared host Jackman to Barnum. After Jackman expressed interest in a Barnum project, Mark and Condon approached Jenny Bicks, a writer for the ceremony. She and Condon wrote The Greatest Showman. The project was first announced in 2009, with Jackman already set for the title role. In August 2011, Michael Gracey was chosen to direct. In 2013, Fox hired lyricists Pasek and Paul to write the songs. On June 15, 2016, Zac Efron began negotiations to star in the film, and in July 2016, Michelle Williams was cast. The film was choreographed by Ashley Wallen. Rehearsals on the film began in October 2016 in New York City, and principal photography began on November 22, 2016. In December 2017, it was reported that James Mangold, who had worked with Jackman on several projects (including 2017's Logan), had been brought in to serve as an executive producer during the film's post-production. In an interview, director Michael Gracey noted, "There were eight producers on this film, and it was amazing having one of them be a filmmaker." Benj Pasek and Justin Paul wrote all the songs appearing in the film. The soundtrack album is produced by Justin Paul, Benj Pasek, Greg Wells, Kevin Weaver and Pete Ganbarg, featuring the eleven tracks performed by the cast. In the United Kingdom, on March 23, 2018, it became only the second album in 30 years to achieve 11 consecutive weeks at number 1, equalling the record set by Adele's 21. As of January 25, 2019[update], the album has spent the sixth most time at number one at 28 non-consecutive weeks, matching the Beatles' Sgt. Pepper's Lonely Hearts Club Band. On November 16, 2018, a remix album was also released, The Greatest Showman: Reimagined, which features covers of songs from the soundtrack by musicians including James Arthur and Anne-Marie, Sara Bareilles, Kelly Clarkson, Kesha, Pink, Panic! At the Disco, Years & Years and Jess Glynne, and the Zac Brown Band among others. The Greatest Showman held its premiere on December 8, 2017, aboard the RMS Queen Mary 2, while it was docked in New York City. The film was then released in the United States on December 20, 2017. As with Disney's live-action Beauty and the Beast, a sing-along version of the film was released in the United Kingdom on 23 February 2018. The film had a limited IMAX release on 2 February 2018. On June 28, 2017, 20th Century Fox released the first international trailer to promote the film. On November 13, 2017, the second trailer was released. On December 17, 2017, Fox televised a live performance of "Come Alive" from Warner Bros. Studios during its live musical special A Christmas Story Live! (which was based on fellow Pasek and Paul work A Christmas Story: The Musical). The number featured the film's stars and a cast of 150 dancers. In the United States, the film was released via digital download on March 20, 2018, and was released on DVD, Blu-ray, and 4K Ultra HD on April 10, 2018. In the United Kingdom, the film was released first on digital download on April 27, 2018, while DVD, Blu-ray, and 4K Ultra HD copies went on sale on May 14, 2018. These versions included the sing-along version, two hours of behind-the-scenes footage, and music machine jukebox features. The Greatest Showman spent 219 days in release, closing on July 26, 2018, having grossed $174.3 million in the United States and Canada, and $260.7 million in other territories, for a worldwide total of $435 million, against a production budget of $84 million. It is the third highest grossing musical ever in North America and globally, respectively, and Deadline Hollywood estimated the film would turn a profit of $50–100 million. In the United States and Canada, The Greatest Showman was released alongside Jumanji: Welcome to the Jungle, and was projected to gross around $21 million from 3,006 theaters over its first six days. It took in $2 million on its first day and $2 million on its second. 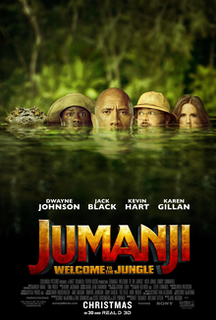 Over the three day weekend, it grossed $9 million (for a six-day total of $19 million), finishing fourth at the box office, behind Star Wars: The Last Jedi, Jumanji: Welcome to the Jungle and Pitch Perfect 3. In its second weekend, the film grossed $15.5 million, again finishing 4th at the box office. The weekend-to-weekend increase of 76.3% marked the largest ever for a film playing in over 3,000 theaters, and the fourth biggest ever. In its third week, the film dropped 11% to $14 million. The film made $13 million in its fourth weekend and $11 million in its fifth, finishing 4th and 5th at the box office, respectively. The film continued to hold well in its sixth week of release, grossing $9.5 million and returning to 4th place, and again finished fourth in its seventh week, this time grossing $7.8 million (a drop of just 18%). It is the 14th highest-grossing film that never reached first place at the American box office. On review aggregator Rotten Tomatoes, the film has an approval rating of 56% based on 232 reviews, and an average rating of 6/10. The website's critical consensus reads, "The Greatest Showman tries hard to dazzle the audience with a Barnum-style sense of wonder – but at the expense of its complex subject's far more intriguing real-life story." On Metacritic, the film has a weighted average score of 48 out of 100, based on 43 critics, indicating "mixed or average reviews". Audiences polled by CinemaScore gave the film an average grade of "A" on an A+ to F scale, while those at PostTrak gave it 4.5 out of 5 stars and a 70% "definite recommend". Owen Gleiberman of Variety gave the film a positive review, writing, "The Greatest Showman is a concoction, the kind of film where all the pieces click into place, yet at an hour and 45 minutes it flies by, and the link it draws between P.T. Barnum and the spirit of today is more than hype." Richard Roeper of the Chicago Sun-Times gave the film 3/4 stars, saying, "With all that corn and cheese and old-timey sentiment, The Greatest Showman ends up scoring some very timely social arguments. P.T. Barnum himself would have approved the dramatic sleight of hand." Steve Persall of Tampa Bay Times gave the film an 'A', and said, "The Greatest Showman is the feel-good movie the holiday season needs," while William Bibbiani of IGN gave The Greatest Showman a score of 7.9/10, and called the film, "wildly entertaining." Britton Peele of The Dallas Morning News said, "The story is interesting and the beats are well-acted, but it's the musical numbers that make The Greatest Showman." Jackie K Cooper of HuffPost gave the film a score of 10/10 and wrote, "You will be overwhelmed by the music and magic that explode on the screen. The film has a message that should resonate with today's world concerning acceptance and courage." Hugh Armitage of Digital Spy said, "The Greatest Showman is a broad and solid crowd-pleaser. An undemanding spectacle for all the family." Alan Jones of Radio Times called it "A joyously uplifting potpourri of visual resplendence, stylish choreography and solid gold magic, one engineered to approximate the lavish spectacle the movie musical once offered." Sheila O'Malley of RogerEbert.com gave it 3.5/4, stating "The Greatest Showman is an unabashed piece of pure entertainment punctuated by memorable songs." Douglas Davidson of CLTure called the film, "An undeniable spectacle with a infectious soundtrack, a movie that dazzles and delights." James Berardinelli of ReelViews gave the film a 3/4 score, and said, "The film has show-stopping well-choreographed numbers with catchy tunes," and Calvin Wilson of St. Louis Post-Dispatch called the film "highly enjoyable." Carl Kozlowski of Pasadena Weekly gave the film an 'A', calling it "Groundbreaking & grandly innovative." Sean P. Means of The Salt Lake Tribune gave The Greatest Showman 3.5/4 stars, stating, "A strong cast give emotional power to this romanticized, tune-filled biography." Manuela Lazic of Little White Lies gave it 4/5, saying, "The Greatest Showman deserves to become a Christmas classic. The film's severe romanticism and ridiculous but affecting enthusiasm make it irresistibly life-affirming." Pete Hammond of Deadline Hollywood gave the film 4 out of 5 stars and called it, "A fantasia of song and dance, a joyous exercise in pure entertainment that is made for the holiday crowd." Conversely, Mick LaSalle of the San Francisco Chronicle gave the film a negative review, criticizing the songs and characters and saying "There's idiotic, and there's magnificent, but The Greatest Showman is that special thing that happens sometimes. It's magnificently idiotic. It's an awful mess, but it's flashy. The temptation is to cover your face and watch it through your fingers, because it's so earnest and embarrassing and misguided – and yet it's well-made." In a negative review for The Hollywood Reporter, David Rooney wrote "This ersatz portrait of American big-top tent impresario P.T. Barnum is all smoke and mirrors, no substance. It hammers pedestrian themes of family, friendship and inclusivity while neglecting the fundaments of character and story." Writing for Rolling Stone, Peter Travers gave the film 1.5 out of 4 stars, saying, "How do you cast a virtuoso Hugh Jackman as P.T. Barnum, spare no expense in production values, add a score by Oscar and Tony winners Benj Pasek and Justin Paul and still end up with the shrill blast of nothing that is The Greatest Showman? Ask first-time director Michael Gracey, who cut his teeth on commercials and music videos without ever mastering the crucial knack of building snippets of musical comedy and drama into a satisfying whole." Justin Chang of the Los Angeles Times wrote that the film's failures "are rooted in something deeper: a dispiriting lack of faith in the audience's intelligence, and a dawning awareness of its own aesthetic hypocrisy. You've rarely seen a more straight-laced musical about the joys of letting your freak flag fly." In February 2019, Michael Gracey said he and Hugh Jackman had begun development on a sequel, with Jackman expected to reprise his role. ^ "The Greatest Showman". AMC Theatres. Retrieved November 22, 2017. ^ Lang, Brent (December 5, 2017). "Hugh Jackman on The Greatest Showman, Saying Goodbye to Wolverine and Turning Down Bond". Variety. Retrieved December 6, 2017. ^ a b "The Greatest Showman (2017)". Box Office Mojo. Retrieved August 17, 2018. ^ Giles, Jeff (December 21, 2017). "Jumanji: Welcome to the Jungle is Certified Fresh". Rotten Tomatoes. Retrieved December 21, 2017. ^ McCreesh, Louise (December 20, 2017). "The Greatest Showman review round-up: A "crowd-pleaser" with a "sinister" side". Digital Spy. Retrieved December 21, 2017. ^ Nourrie, Doug (December 25, 2017). "This Rotten Week: Predicting All The Money In The World Reviews". CinemaBlend. Retrieved January 7, 2018. ^ Hayes, Heather (January 17, 2018). "Discover Utah's Loren Allred, the voice behind the hit song 'Never Enough' from The Greatest Showman soundtrack". Deseret News. Retrieved April 18, 2018. ^ Allred, Loren (November 13, 2017). "[post]". Instagram. Retrieved April 18, 2018. ^ McHenry, Jackson (2019-02-22). "The Behind-the-Scenes History of Hugh Jackman's Opening Number at the 2009 Oscars". www.vulture.com. Retrieved 2019-02-26. ^ Jagernauth, Kevin (August 11, 2011). "Michael Gracey To Direct Hugh Jackman Musical The Greatest Showman On Earth". IndieWire. Retrieved July 10, 2017. ^ McClintock, Pamela; Kit, Borys (August 17, 2011). "Michael Gracey to Direct The Greatest Showman on Earth". The Hollywood Reporter. Retrieved July 12, 2016. ^ Grobar, Matt (November 17, 2017). "The Greatest Showman Songwriters Benj Pasek & Justin Paul On The Revitalization Of The Original Hollywood Musical". Deadline Hollywood. Retrieved April 18, 2018. ^ McNary, Dave (June 15, 2016). "Zac Efron in Talks to Join Hugh Jackman's Greatest Showman (Exclusive)". Variety. Retrieved June 16, 2016. ^ McNary, Dave (July 6, 2016). "Michelle Williams in Talks for Hugh Jackman's Greatest Showman on Earth". Variety. Retrieved January 5, 2018. ^ Pulver, Andrew (July 8, 2016). "Michelle Williams and Zac Efron sought for PT Barnum biopic". The Guardian. Retrieved January 5, 2018. ^ Jaafar, Ali (July 6, 2016). "Michelle Williams In Talks To Join The Greatest Showman With Hugh Jackman". Deadline Hollywood. Retrieved January 5, 2018. ^ Giroux, Jack (July 7, 2016). "Michelle Williams Joins Hugh Jackman in The Greatest Showman on Earth". SlashFilm. Retrieved January 5, 2018. ^ Gold, Sylvaine (December 19, 2017). "Meet the Man Behind Hugh Jackman's Moves in The Greatest Showman". Dance Magazine. Retrieved December 19, 2017. ^ Christine (November 10, 2016). "The Greatest Showman, starring Hugh Jackman & Zac Efron, begins filming in NYC soon!". On Location Vacations. Retrieved November 17, 2016. ^ La Cioppa, Bianca (October 25, 2016). "A personal touch: Hugh Jackman sings happy birthday to good pal Zac Efron". The Daily Mail. Retrieved November 23, 2016. ^ Stack, Tim (December 22, 2017). "The Greatest Showman Director On The Epic Musical Numbers And If It Could Head To Broadway". Entertainment Weekly. Retrieved December 22, 2017. ^ Burlingame, Jon (January 4, 2018). "'This Is Me' From The Greatest Showman Is an Anthem for Outcasts". Variety. Retrieved January 17, 2018. ^ Copsey, Rob (March 23, 2018). "The Greatest Showman soundtrack equals Adele's massive UK chart record". Official Charts Company. Retrieved April 18, 2018. ^ "The Greatest Showman soundtrack beats Adele's UK album chart record". BBC News. December 28, 2018. Retrieved February 18, 2019. ^ Copsey, Rob (January 25, 2019). "Albums with the most weeks at Number 1 on the Official Albums Chart". Official Charts Company. Retrieved February 18, 2019. ^ Anderton, Ethan (October 9, 2018). "'The Greatest Showman' Soundtrack Is Getting Reimagined with Kelly Clarkson, Panic! at the Disco & More". Slashfilm. Retrieved October 9, 2018. ^ Chitwood, Adam (October 9, 2018). "'The Greatest Showman' Is Getting a Covers Album Featuring P!nk, Kelly Clarkson, and More". Collider. Retrieved October 9, 2018. ^ Cunard Line (December 6, 2017). "Cunard to Broadcast Live Red Carpet from The Greatest Showman World Premiere on Flagship Queen Mary 2". PR Newswire. Retrieved 2017-12-08. ^ Tartaglione, Nancy (November 13, 2017). "The Greatest Showman Trailer: Hugh Jackman's Singing & Dancing Ringmaster". Deadline Hollywood. Retrieved 2017-11-14. ^ "The Greatest Showman: Sing-Along (PG)". British Board of Film Classification. 2018-01-25. Retrieved 2018-02-11. ^ Rivera, Joshua (June 28, 2017). "Hugh Jackman Is Fun Again in The Greatest Showman Trailer". GQ. Retrieved 2017-11-24. ^ Ramos, Dino-Ray (December 18, 2017). "The Greatest Showman Live Movie Trailer Electrifies During A Christmas Story Live". Deadline Hollywood. Retrieved 2017-12-18. ^ Natividad, Angela (2017-12-18). "Hugh Jackman's Live Ad Last Night for The Greatest Showman Was Quite the Circus". Adweek. Retrieved 2017-12-18. ^ "The Greatest Showman: Movie Plus Sing-Along". Amazon. Retrieved 2018-04-18. ^ Simpson, George (2018-02-28). "The Greatest Showman home release dates REVEALED for Blu-ray, DVD and Digital Download". Daily Express. Retrieved 2018-04-18. ^ Tartaglione, Nancy (March 29, 2018). "This Is $400M+: The Greatest Showman Hits WW Milestone On Feel-Good Legs". Deadline Hollywood. Retrieved March 29, 2018. ^ D'Alessandro, Anthony (November 28, 2017). "Does 2017's Domestic Box Office Stand A Chance To Eclipse Last Year's All-Time $11.4B Record?". Deadline Hollywood. Retrieved November 29, 2017. ^ McNary, Dave (December 19, 2017). "Jumanji, Greatest Showman, Pitch Perfect to Challenge the Star Wars Box Office Force". Variety. Retrieved December 19, 2017. ^ a b D'Alessandro, Anthony (December 26, 2017). "'Last Jedi' Now At $99M, 'Jumanji' Huge At $72M+; 'All The Money In The World' Opens To $2.6M – Christmas Weekend". Deadline Hollywood. Retrieved December 26, 2017. ^ D'Alessandro, Anthony (December 31, 2017). "'Last Jedi' & 'Jumanji' Duel For No. 1 Over New Year's Weekend As 2017 Box Office Closes With $11.1B – Sunday Update". Deadline Hollywood. Retrieved December 31, 2017. ^ "Smallest Second Weekend Drop: 1982–Present". Box Office Mojo. Retrieved January 3, 2018. ^ Mendelson, Scott (December 31, 2017). "Hugh Jackman's The Greatest Showman Just Set A New Box Office Record". Forbes. Retrieved January 1, 2018. ^ D'Alessandro, Anthony (January 21, 2018). "January Slows As Jumanji Takes No. 1 For 3rd Weekend With $19M To $20M; Older Guy Pics 12 Strong & Den Of Thieves In Mid-Teens". Deadline Hollywood. Retrieved January 21, 2018. ^ D'Alessandro, Anthony (January 28, 2018). "Fox Controls Close To 40% Of Weekend B.O. Led By Maze Runner & Oscar Holdovers; Hostiles Gallops Past $10M". Deadline Hollywood. Retrieved January 28, 2018. ^ D'Alessandro, Anthony (February 4, 2018). "Jumanji Poised To Be Dwayne Johnson's Highest Grossing Pic Of All-Time Stateside After Super Bowl Weekend Rebound". Deadline Hollywood. Retrieved February 4, 2018. ^ "Top Grossing Movies that never hit #1, the Top 5 or Top 10". Box Office Mojo. Retrieved January 31, 2017. ^ "The Greatest Showman (2017)". Rotten Tomatoes. Retrieved January 29, 2019. ^ "The Greatest Showman Reviews". Metacritic. Retrieved December 22, 2017. ^ Gleiberman, Owen (December 20, 2017). "Film Review: The Greatest Showman". Variety. Retrieved December 20, 2017. ^ Roeper, Richard (December 20, 2017). "Catchy songs steal the show in The Greatest Showman". Chicago Sun-Times. Retrieved December 20, 2017. ^ Persall, Steve (December 20, 2017). "Why The Greatest Showman is the feel-good movie the holiday season needs". Tampa Bay Times. Retrieved April 18, 2018. ^ Bibbiani, William (December 20, 2017). "The Greatest Showman review". IGN. Retrieved April 18, 2018. ^ Peele, Britton (December 20, 2017). "Catchy musical The Greatest Showman, like its central character, reshapes truth for entertainment". The Dallas Morning News – GuideLive. Retrieved April 18, 2018. ^ Cooper, Jackie K (December 21, 2017). "The Greatest Showman Is Movie Magic". HuffPost. Retrieved April 18, 2018. ^ Armitage, Hugh (December 20, 2017). "The Greatest Showman review – An undemanding spectacle for all the family". Digital Spy. ^ Jones, Alan (December 20, 2017). "The Greatest Showman review: "pure musical entertainment of a sumptuous vintage"". Radio Times. Retrieved December 20, 2017. ^ O'Malley, Sheila (December 20, 2017). "The Greatest Showman". RogerEbert.com. Retrieved April 18, 2018. ^ Davidson, Douglas (December 15, 2017). "The Greatest Showman is an undeniable spectacle with a infectious soundtrack". CLTure. Retrieved April 18, 2018. ^ Berardinelli, James (December 21, 2017). "The Greatest Showman film review". ReelViews. Retrieved April 18, 2018. ^ Wilson, Calvin (December 20, 2017). "Hugh Jackman shines in The Greatest Showman". St. Louis Post-Dispatch. Retrieved April 18, 2018. ^ Kozlowski, Carl (December 21, 2017). "The Greatest Showman provide an eclectic feast for the senses". Pasadena Weekly. Retrieved April 18, 2018. ^ Means, Sean P. (December 20, 2017). "Hugh Jackman and some Utah-grown talent deliver Barnum's bravado in musical The Greatest Showman". The Salt Lake Tribune. Retrieved April 18, 2018. ^ Lazic, Manuela (December 20, 2017). "The Greatest Showman Review". Little White Lies. Retrieved April 18, 2018. ^ Hammond, Pete (December 20, 2017). "The Greatest Showman Review: Hugh Jackman Sings And Dances His Way Into Holiday Hearts In Lively Family Musical". Deadline Hollywood. Retrieved April 18, 2018. ^ LaSalle, Mick (December 20, 2017). "Greatest Showman starring Hugh Jackman as Barnum magnificently idiotic". San Francisco Chronicle. Retrieved December 20, 2017. ^ "The Greatest Showman: Film Review". The Hollywood Reporter. December 20, 2017. Retrieved December 20, 2017. ^ Travers, Peter (December 19, 2017). "Review: The Greatest Showman Is 'a Shrill Blast of Nothing'". Rolling Stone. Retrieved December 21, 2017. ^ Chang, Justin (December 20, 2017). "The Greatest Showman turns Hugh Jackman's P.T. Barnum into a hero, and cons the audience in the process". Los Angeles Times. Retrieved December 21, 2017. ^ Appelo, Tim (February 5, 2018). "Complete List of Winners at the 2018 Movies for Grownups Awards". Movies for Grownups. AARP. Retrieved April 18, 2018. ^ THR Staff (January 23, 2018). "Oscars: 'Shape of Water' Leads With 13 Noms". The Hollywood Reporter. Retrieved January 23, 2018. ^ Variety Staff (March 4, 2018). "Academy Award Winners 2018: The Complete List". Variety. ^ Weatherby, Taylor (October 9, 2018). "Here Are All the Winners From the 2018 AMAs". Billboard. Retrieved October 12, 2018. ^ Brockington, Ariana; Caranicas, Peter (January 18, 2018). "'Dunkirk,' 'Black Mirror' Among Winners at Casting Society Artios Awards". Variety. Retrieved January 19, 2018. ^ Stone, Sasha (January 10, 2018). "Costume Designers Guild Announces Nominees". Awards Daily. Retrieved January 10, 2018. ^ Kilday, Gregg (December 6, 2017). "Critics' Choice Awards: 'The Shape of Water' Leads With 14 Nominations". The Hollywood Reporter. Retrieved December 6, 2017. ^ Respers, Lisa (December 11, 2017). "Golden Globe nominations 2018: The list". CNN. Retrieved December 11, 2017. ^ Giardina, Carolyn (January 22, 2018). "MPSE Golden Reel Awards: Baby Driver, Dunkirk Among Sound Editors' Nominees". The Hollywood Reporter. Retrieved January 23, 2018. ^ "Awards". GRAMMY.com. 2017-04-30. Retrieved 2018-12-29. ^ Variety staff (January 11, 2018). "Sufjan Stevens, Greatest Showman, Girls Among Guild of Music Supervisors Awards Nominees". Variety. Retrieved January 12, 2018. ^ Haring, Bruce (March 24, 2018). "Nickelodeon Kids' Choice Awards 2018 Winners – The Complete List". Deadline Hollywood. Retrieved June 23, 2018. ^ Giardina, Carolyn (January 5, 2018). "Makeup Artists and Hair Stylists Guild Awards: 'Darkest Hour,' 'Wonder' Lead Feature Nominees". The Hollywood Reporter. Retrieved January 5, 2018. ^ Chitwood, Adam (June 28, 2018). "'Black Panther' Tops Saturn Awards with Five Wins; 'The Last Jedi' Takes Best Screenplay". Collider. Retrieved June 28, 2018. ^ Wootton, Dan (February 22, 2019). "Hugh Jackman secretly begins work on The Greatest Showman sequel after huge success of first movie". The Sun. Retrieved February 23, 2019. Phineas Taylor Barnum was an American showman, politician, and businessman remembered for promoting celebrated hoaxes and for founding the Barnum & Bailey Circus (1871–2017). He was also an author, publisher, and philanthropist, though he said of himself: "I am a showman by profession… and all the gilding shall make nothing else of me". According to his critics, his personal aim was "to put money in his own coffers." He is widely credited with coining the adage "There's a sucker born every minute", although no evidence can be found of him saying this. Johanna Maria "Jenny" Lind was a Swedish opera singer, often called the "Swedish Nightingale". One of the most highly regarded singers of the 19th century, she performed in soprano roles in opera in Sweden and across Europe, and undertook an extraordinarily popular concert tour of the United States beginning in 1850. She was a member of the Royal Swedish Academy of Music from 1840. Zachary David Alexander Efron is an American actor. He began acting professionally in the early 2000s, and rose to prominence in the late 2000s for his leading role as Troy Bolton in the High School Musical franchise (2006–2008). During this time, he also starred in the musical film Hairspray (2007) and the comedy film 17 Again (2009). He has since appeared in the films New Year's Eve (2011), The Lucky One (2012), The Paperboy (2012), Neighbors (2014), Dirty Grandpa (2016), Neighbors 2: Sorority Rising (2016), Baywatch (2017), The Greatest Showman (2017) and Extremely Wicked, Shockingly Evil and Vile (2019). Zendaya Maree Stoermer Coleman is an American actress and singer. She began her career appearing as a child model and backup dancer, before gaining prominence for her role as Rocky Blue on the Disney Channel sitcom Shake It Up (2010–2013). In 2013, Zendaya was a contestant on the sixteenth season of the competition series Dancing with the Stars. From 2015 to 2018, she produced and starred as K.C. Cooper on the Disney Channel sitcom K.C. Undercover. She made her film breakthrough in 2017, starring as Michelle "MJ" Jones in the Marvel Cinematic Universe superhero film Spider-Man: Homecoming and as Anne Wheeler in the musical drama film The Greatest Showman. Yahya Abdul-Mateen II is an American architect and actor. He played Cadillac in the television series The Get Down. He also starred in Baywatch, The Greatest Showman, and portrayed the villain Black Manta in DC's Aquaman (2018). "Rewrite the Stars" is a song performed by Zac Efron and Zendaya for the film The Greatest Showman (2017). It was released on November 17, 2017 by Atlantic Records as a promotional single from The Greatest Showman: Original Motion Picture Soundtrack. In Australia, "Rewrite the Stars" was released to radio on July 20, 2018. The song sees Efron's character Phillip Carlyle, serenading Zendaya's character Anne Wheeler and trying to convince her that they're meant to be together, despite their differences. The Man. The Music. The Show. is the upcoming concert tour by Australian actor, musician and dancer Hugh Jackman. It will showcase material from the soundtrack album, The Greatest Showman and Broadway and Hollywood musical numbers backed by a live orchestra. Comprising 76 shows, the tour will visit the North America, Europe and Oceania. It will begin on May 7, 2019, in Glasgow, Scotland and concludes on September 7, 2019, in Auckland, New Zealand. The tour was officially announced on November 30, 2018, through the tour's website and is produced by AEG Presents, TEG-Dainty and helmed by Robert Fox.